Siege stock - is it scalpers or just limited supply from Hasbro? It's clearly a Prime Core enhanced gun. 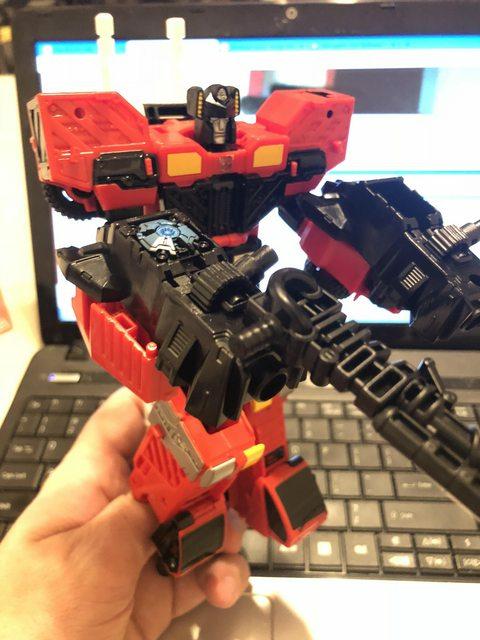 But whatever Inferno is supposed to be gripping to hold the combined weapon in his hand simply isn't there. Oh ok that's not in the instructions. But doable. You just have to swing out the peg on the underneath of the foot, plug the prime core in, attach the gun by the peg on it's side, leave off the prime armour and he can do that pose. If your toy doesn't have the peg underneath the foot then yes you've got a fault toy. Hope this helps. 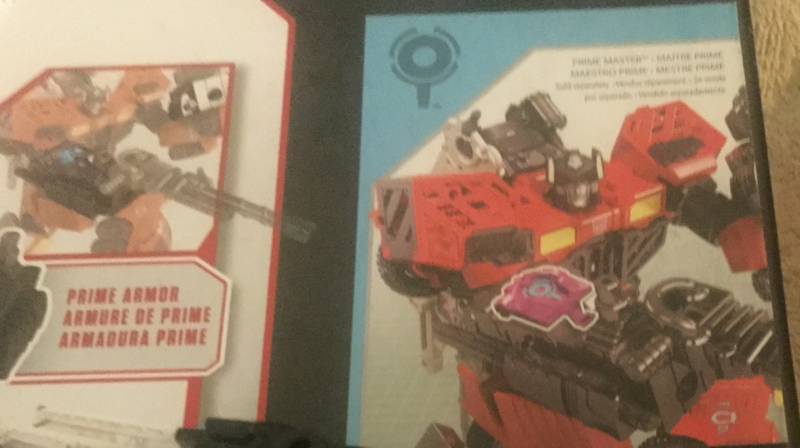 Paulbot, I pulled my POTP out, and his pic is of the grimlock feet, not the inferno feet (which match starscream/elita1). Grimlock feet don’t have the post to flip out, as grimlock had pegs on his leg. Tilarta, the box pics and instructions being different don’t mean much, this change all the time. It’s well documented the feet shipped were different to the pics, but I can’t find any reference to peo0le getting grimlock feet with inferno. That said, any chance you mixed up grimlocks feet with infernos at some stage? The pic you posted with “the closest you got” is using a grimlock foot. We should all be pleased that for the first time in forever retailers have not overstocked on wave one products and then not bothered with the subsequent waves. It really is such a nice change to see the second wave of a transformers toyline on shelves, far better than having 300 movie Prines and Bumblebees clogging the very small amount of shelving space transformers are allocated because they just don’t sell to the general public as well as other toylines do. Bad news for me as I preordered wave 2 thinking they will never show up here. I no longer want them as I’m not collecting so will have to sell these at a huge loss as they are shelfwarming everywhere. No, you need 9! 3 for camera, 3 for robot, 3 for MISB. +1 or +3 for 'spaceship' mode. Okay, 15 it is... I'm off to update my BBTS cart. P.S. good job on everyone helping Tilarta with the foot. I don't remember what the Inferno feet looked like, but I'm fairly sure it was a packaging error that included the Dinobot feet instead of the generic Combiner feet. Since I spent a fair while tinkering with the foot module to find out how to get it into Pyra's hand, the odds of me not seeing a flip-out post on the underside are unlikely. In any case, I don't have them anymore to check, as mentioned above, I returned the entire Inferno Combiner toy to the store for a refund when I saw what Hasbro had sent me.